Leila Azadi is a lesbian, but she has done a pretty good job of keeping this fact a secret from her friends and classmates at Armstead Academy. Everyone thinks her best friend Greg is her boyfriend, and this allows her to fly under the radar. If only Greg didn’t want to actually be her boyfriend, everything would be perfect. But with the arrival of Saskia, a beautiful and sophisticated student from Europe, Leila finds herself with a crush on a classmate for the first time. The harder she falls for wild and independent Saskia, the more difficult it is to keep her secret, not just from her classmates and teachers, but from her traditional Iranian parents, and her perfect older sister, Nahal. Confused by Saskia’s mixed signals, Leila begins to reach out to friends and family, but as the truth starts to spread, Leila finds herself losing control of her coming out process. 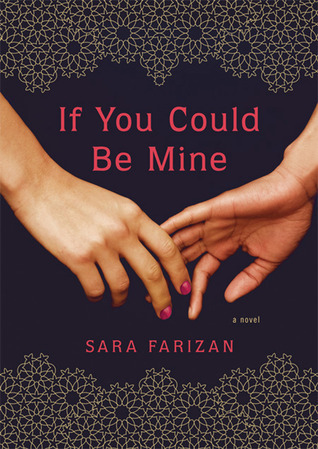 Following her first novel, If You Could Be Mine, about a young lesbian couple growing up in Iran, Sara Farizan’s second book turns to something closer to home, exploring the tension between Leila’s tradition Iranian family, and her more liberal American upbringing. Farizan’s socially conscious novels explore issues of race, ethnicity, gender, and sexuality with sensitivity and nuance. She upends expectations with a diverse cast of secondary characters that are full of surprises. Indeed, it was watching the relationships between the different characters unfold that really carried the story. Leila misjudges many of her friends and family members, but Farizan gives them much more depth than Leila initially gives them credit for. The stand-out feature of this novel is Leila’s slowly rekindled relationship with her childhood best friend, Lisa, who cut her off when she transferred to Armstead two years before Leila. Unfortunately, this strength only becomes apparent as the novel progresses, and undoubtedly many people will put the book down without ever getting that far. Farizan’s writing style is still somewhat simplistic; the plot development is rather blunt, and the scene changes can be extremely abrupt. Overall, her style would be better suited to a middle grade story than a young adult narrative, but her topics and protagonists remain firmly rooted in YA territory. Belzhar by Meg Wolizter. 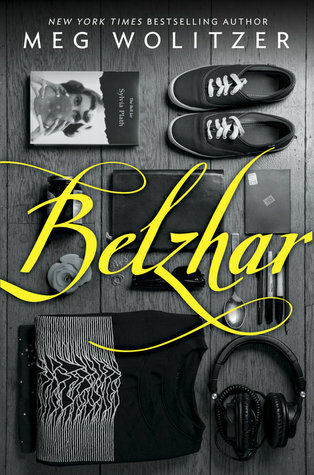 Fresh off the success of her 2013 bestseller, The Interestings, Meg Wolitzer returns with Belzhar. Jam Gallahue’s boyfriend is dead, and she has been shipped off to a bizarre Vermont boarding school that is supposed to be therapeutic. A journal-writing assignment takes an unexpected turn when Jam discovers that writing allows her to access Belzhar, an alternate world where Reeve is still alive, forcing her to confront her loss anew. Coming September 30, 2014. 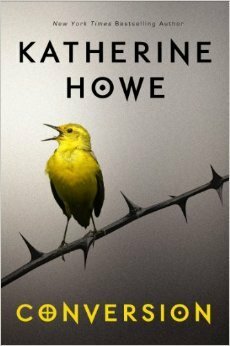 Conversion by Katherine Howe. Seniors at the elite St. Joan’s Academy of Danvers, Massachusetts are under incredible pressure as graduation approaches. At a time when they desperately need to keep it together, one by one the girls at the school succumb to a mysterious illness that involves inexplicable seizures and tics. No one seems to be able to figure out what is going on, but Colleen Rowley realizes that Danvers now stands on the site of what was once Salem village, where three centuries before, a similar plague touched off the most famous witch hunt in American history. Inspired by true events, Conversion is available now. 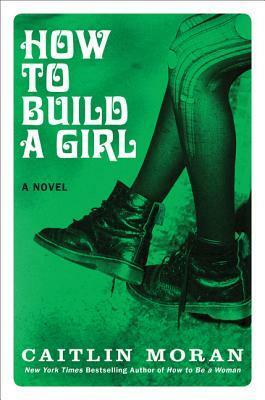 How to Build a Girl by Caitlin Moran. Known for her humourous non-fiction works, including How To Be a Woman and Moranthology, Caitlin Moran’s new semi-autobiographical YA novel tells the story of Johanna Morrigan, aka Dolly Wilde. After humiliating herself terribly on local television, Johanna sets out to reinvent herself, building a new identity out of poetry, music, and paperbacks. She goes to work for a music magazine, drinking, smoking, and writing scathing reviews of bands. But can she really build her coming-of-age out of records and novels, or is there more to growing up? On sale September 23, 2014. 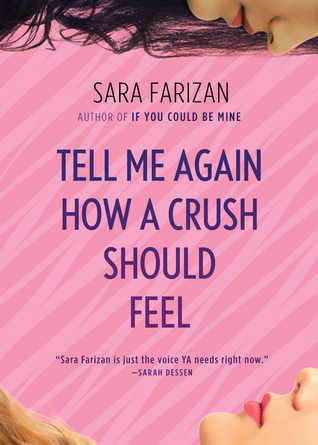 Tell Me Again How a Crush Should Feel by Sara Farizan. Iranian-American high school senior Leila feels different enough from her peers thanks to her Persian heritage. She doesn’t need anyone to know that she also likes girls. But a beautiful and intriguing new student name Saskia opens Leila up to the possibility of coming out of her closet, and finally engaging with her peers, who also have secrets of their own. This sophomore novel by the author of If You Could be Mine will be in stores October 7, 2014. Sahar and Nasrin have been best friends since they were small girls, but more than that, they are in love. Iran is a dangerous place to be gay, but Sahar holds out hope that she and Nasrin will find a way to be together. Sahar is smart, and one day she will be a doctor, capable of supporting herself and Nasrin. But Nasrin finds it difficult to believe it will ever be possible for them to be together, so as the end of high school nears, she agrees to an arranged marriage with a handsome young doctor her parents have chosen for her. If homosexuality is haraam, adultery is even more dangerous still, and Sahar sees no way that they will be able to hide their love from Nasrin’s husband. But then Sahar learns that while homosexuality is illegal, to be a man trapped in a woman’s body is not, and the state will even pay for gender reassignment surgery. Sahar must decide how much of herself she is willing to sacrifice in order to be with Nasrin. As a young adult novel, If You Could Be Mine offers a rare opportunity to discuss the differences between gender identity and sexual orientation by examining the different situations faced by gay and transgender people in Iran. It is an unusual reversal of the North American situation, where being gay is much more readily accepted than being transgender. Although the main character is not transgender, and is actually coping with what it means to be gay in Iran, her desire to find a legal way to be with Nasrin brings her into contact with people who have transitioned, and are also sympathetically portrayed. Further, the idea that Sahar may become a man allows room for the story to examine the privileges she would suddenly have access to if she was no longer a woman. And although Nasrin and Sahar are best friends, issues of wealth and class complicate their relationship, as do the differences in their levels of academic accomplishment, allowing for a fuller portrait of contemporary Iranian culture. If You Could Be Mine is Sara Farizan’s first novel, and while it is largely well done, the set up and narration are somewhat awkward and heavy-handed at times. The novel was also on the short side, and I think Farizan could have used more room to tell her story. However, the plot captured me, and even had me tearing up in parts. I will look forward to seeing Farizan’s writing style develop in future novels. Already read If You Could Be Mine? For another book set in the Middle East, check out And the Mountains Echoed by Khaled Hosseini. 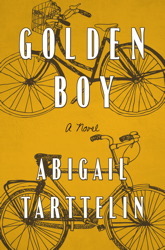 For another book about gender identity, try Golden Boy by Abigail Tarttelin. 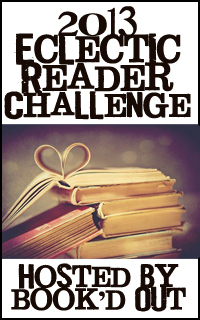 This title fulfills the LGBT requirement for my participation in the 2013 Eclectic Reader Challenge hosted by Book’d Out. This past weekend, I had the opportunity to attend the American Library Association’s Midwinter Meeting in Seattle. In addition to attending workshops and hanging out with other folks in the library profession, I was able to attend a Book Buzz event, and visit publishers at their booths on the exhibit floor to find out about the new fiction titles coming this spring and summer. I didn’t get much reading done this past week, so in lieu of sharing a review, here’s a peek at some of the forthcoming titles I am excited about for the first half of 2013. The Walkers seem to be the perfect family. Karen Walker is a high power criminal attorney, and her husband Steve is about to stand for the British Parliament. Their son Max is the popular golden boy of his school. But for Karen, it all feels like a charade, and one that could fall apart at any moment. Steve’s candidacy for public office means that their lives are about to be laid bare to intensive media scrutiny. 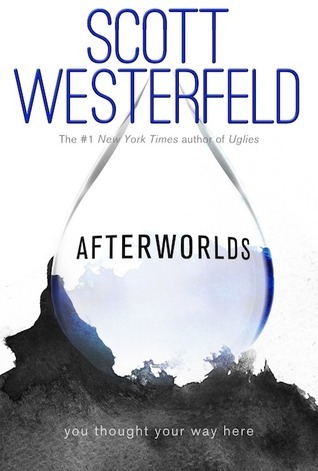 Between the publicity and the return of one of Max’s childhood friends, the Walkers are afraid that the secret of Max’s intersex condition will be exposed. Abigail Tarttelin’s novel is due out from Atria Books (Simon and Schuster) on May 21, 2013. 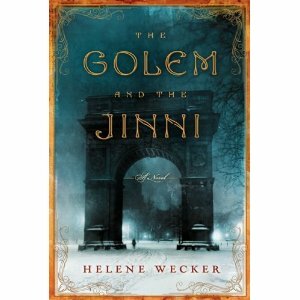 In Helene Wecker’s debut novel, an unusual pair of magical immigrants arrive in New York City in 1899, creating an improbable connection between Jewish and Arabic mythology. Ahmad is a fire jinni, accidently release from his lamp into the streets of the city. Chava is a Golem whose master, a Kabbalist magician, dies on the voyage from Poland to America, leaving her to make her way alone in a new country. United by their common immigrant experience, but then driven apart by their disparate heritage, only a “powerful threat” can bring them together again. HarperCollins is recommending this title for fans of The Night Circus, A Discovery of Witches, and Jonathan Strange and Mr. Norrell. Look for this HarperCollins book on April 23, 2013. Sara Farizan’s debut novel is a young adult title about forbidden love in Iran. Sahar and Nasrin are best friends, but they are also in love, and in Iran homosexuality is a crime. Nasrin must marry the prosperous doctor her parents have selected for her. The girls keep their love a secret, passing only as friends in public. When Sahar learns that while homosexuality is a crime, being transgender is not, she must consider whether it would be worth transitioning in order to be able to love and even marry Nasrin openly. The only problem is that Sahar doesn’t identify as a man. 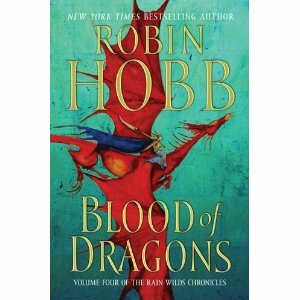 This title is due out from Algonquin on August 20, 2013. Tor is hyping this title as Brandon Sanderson’s YA debut, since his previous books are classified as either middle grade or adult. Rithmatists are powerful magicians who use their skills to bring creatures known as Chalklings to life from two-dimensional chalk models. These Rithmatist-controlled creatures are all that protect the American Isles from being overrun by Wild Chalklings. The son of a chalkmaker at the Rithmatists’ academy, Joel dreams of being a Rithmatist himself. It seems more likely that he will follow in his father’s footsteps, until students at the school begin disappearing, and Joel must help solve the mystery. 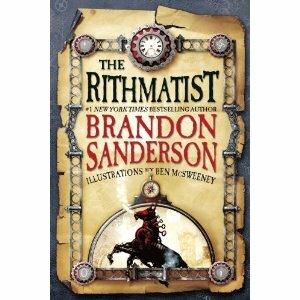 Following shortly on the heels of the conclusion of the Wheel of Time series, The Rithmatist is due out on May 14, 2013. I received ARCs of a number of these titles, so look for reviews closer to the release dates.